Alsarex is an Ayurvedic formulation of natural herbs. If you are in search of a natural product to get rid of your ulcers naturally, you must go for Alsarex tablets. It is easily available and is Charak pharma’s product. You can avoid surgery by taking Alsarex tablet for a limited period of time. There is no need to take it for life long. Regular use of Alsarex tablets gives you permanent relief from acidity and ulcers for ever. So, you do not have to go for surgery, there is a natural solution for your ulcers and that is Alsarex tablets. Alsarex is an Ayurvedic product prepared to give relief from different digestive disorders. Alsarex is indicated in gastric ulcers, duodenal ulcer, heartburn, dyspepsia and heartburn. Regular intake of Alsarex helps to reduce the excessive secretion of acid from the stomach. It also helps to relieve vomiting and regurgitation. 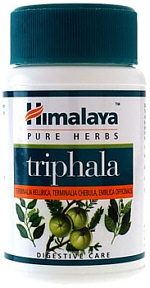 It is a complete Ayurvedic product that is safe and effective and do not have any side effect. It is not contraindicated and does not interact with any drugs. Alsarex is one of the important natural products indicated for GERD (Gastro esophageal Reflex Disease) and Ulcerative colitis. Long term use of this product does not produce any side effects. People undergo different treatment for these conditions that produce unwanted effects in their body. Some has to undergo surgery. Alsarex can help to prevent these unwanted side effects and surgery. Ulcers of the stomach are known as peptic ulcers. There are two types of ulcers depending upon the site. Ulcers present in the stomach are known as gastric ulcers and ulcers present in the intestines (duodenum) are called as duodenal ulcers. It can affect both men and women equally. Ulcers are produced when a person has acidity for a long time. Ulcers are produced when cells of the stomach lining become sensitive to the excessive production of acid. Hyper secretion affects the stomach lining at the weak point and leads to the formation of ulcer. Alsarex tablets produce an acid-neutralizing effect on the lining of the stomach and give a soothing effect to the stomach lining. Natural herbs present in alsarex tablets provide soothing relief to the stomach layer and they also help to neutralize the acidic effect. It helps in reducing the production of excessive acid and prevents inflammation of the esophageal and stomach lining. Different herbs help in the easy digestion of the food and to get rid of waste easily. It also helps in the repair of the damaged tissues in the stomach and esophagus. Alsarex is a potent combination of natural herbs that not only helps in the decrease in the production of acid but it also helps in the strengthening of the stomach mucosa. It helps to treat the ulcer by its root. It provides support to stomach lining to fight with the infection and inflammation. Acidity is not a disease. It is a symptoms caused in different medical conditions of the stomach. There are different causes of ulcerative colitis such as excessive intake of hot and spicy food, excessive consumption of alcohol and chain smoking. NSAIDS also cause ulcers in some patients. Intake of tobacco also leads to the inflammation of the stomach lining thus producing ulceration and pain. If it is not taken care of in time, it may lead to complications such as perforation of ulcers that may lead to death. Thus it is very important to treat this easily and effectively. Acidity may be accompnaeid with other digestive symptoms such as vomiting, nausea, pain in the stomach and constipation. Acidity is the result of accumulation of toxins in your body. Alsarex tablets help to fight acidity and remove the toxins from the body. It softens the stool that helps in easy passage of the stools and giving relief to gas and other related symptoms. Alsarex tablets help the stomach to produce enough digestive enzymes that helps in the easy breakdown of the food particles in smaller molecules that are easily digestible by our body. Smaller particles are easily absorbed by our body thus relieving all the digestive symptoms. Alsarex tablets are completely free from any harmful chemicals and are made up of natural Ayurvedic herbs that are completely safe. Alsarex tablets also help to relieve mental stress and anxiety by reducing the hyper excitability of vagus nerve. Important signs and symptoms associated with ulcerative colitis are burning pain in the upper abdomen or below the ribs. Pain may occur after eating and it may remain after eating. Patient feels uncomfortable. It is accompanied by nausea and vomiting. There is sensation of heaviness in the abdomen. Natural herbs present in the Alsarex Tablets act on the smooth muscles of the gastro-intestinal tract and provide strength to the lower esophageal sphincter. The ingredients of the Alsarex help you to provide with healthy stomach tissue and also gives soothing effect thus giving relief to stomach pain. It also helps in the appropriate production of the digestive enzymes thereby maintaining optimal digestive function. Thus, Alsarex tablets provide immediate relief along with long-term balance, without the need for taking the medicine life long. There are some precautions that can be taken to prevent flare up of ulcers. Try to avoid hot and spicy foods, NSAIDS, try to avoid alcohol, excessive tea, coffee and tobacco. Take high fiber diet. Keep yourself free from any mental stress as it also flares up the ulcers. Do not take too much hot or cold food. Alsarex tablets are a comprehensive combination of natural Ayurvedic herbs that provides you immediate relief from excessive burning and pain in the stomach. It is one of the famous products that are used all over the world because it does not have any side effects. Ulceration of the stomach results in excessive pain and discomfort. Patient also feels nauseous and also vomits. But Alsarex tablets are a natural solution to get rid of ulcers easily and effectively. Alsarex helps in the reduction of the acid and provides soothing relief to the mucosal lining of the esophagus and the stomach. Two tablets two to three times a day with a “bland diet” for three to six weeks.